Did you know? Today is the International Day of Happiness! To celebrate the International Day of Happiness, we are sharing our learnings on the connection between happiness and the tourism industry, drawn from an interview with Dr. Paul Rogers, Co-Founder and Director of Planet Happiness by our very own PATA Student Chapter at the Capilano University in Vancouver, Canada. You can check out the original post and listen to the full podcast at this link. Planet Happiness has two primary goals. First, it seeks to promote tourism as a force for good by advocating for happiness and a high quality of life at world heritage sites. Secondly, it strives to raise global awareness of the possibility of building a holistic and balanced world. A non-profit organization, Planet Happiness encourages individuals and tourism stakeholders to move beyond measuring tourism development in terms of Gross National Product (GDP) and envision a world of responsible tourism growth through Gross National Happiness (GNH). The organization uses a 15-minute survey to index the aggregate level of community happiness at world heritage sites. By collecting responses from residents each year, it would be possible to measure the increase or decrease of their wellbeing as a result of policy and planning. There are many ways to use the happiness survey as tangible benchmarks, such as in destination planning, strengthening destination wellbeing, and increasing community engagement in governmental affairs. By prioritizing wellness, destinations can brand themselves as happy places with populations that are welcoming to tourists. GNH would serve as a relevant and helpful tool to avoid the pitfalls of overtourism. The organization has been collaborating with many universities from around the world, major corporations, and tourism networks—including PATA—to help bring all 1073 world heritage sites on board with GNH. While there are quantifiable goals for the number of signups each year, the emphasis is on creating strong foundations rather than signing up as many sites as possible. 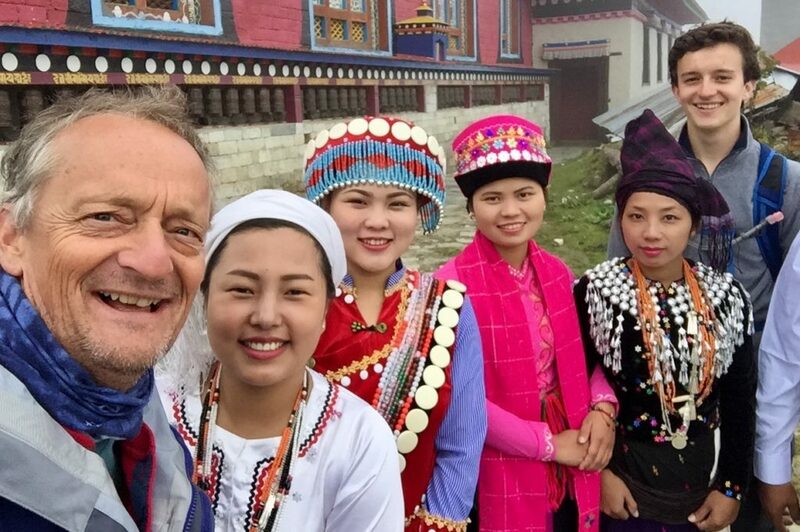 Paul’s passion for holistic tourism development began while backpacking through Nepal’s Mount Everest region in 1989, where he lived for a year and has revisited numerous times since. He was able to witness the area transform through tourism from one of the remotest regions of the world to the well-educated, happy, economically mobile, and empowered community that it is today. After attending the UN conference on happiness in Bhutan in 2012, he became inspired to carry the happiness movement forward.